Yet the commission, after many interviews with survivors, found that no one did anything wrong. 3 ½ centuries later, modern researchers came to the same conclusion. Everything was in order. The skeleton of the helmsman was found still gripping the steering pole, trying heroically to turn the ship's bow into the wind to keep it from leaning over. 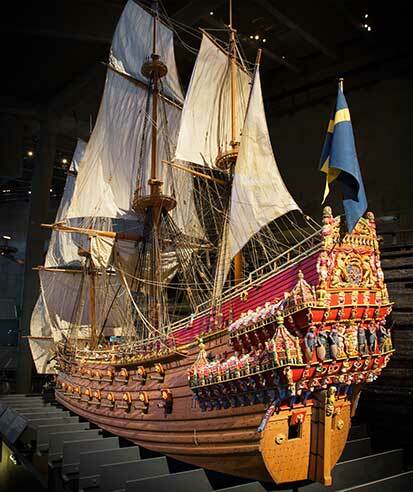 In the case of the Vasa, P=0, so no matter how good implementation was, the Vasa was doomed. In many educational programs, the same is true. For example, programs that are not well worked out, not well integrated into teachers' schedules and skill sets, or are too difficult to implement, are unlikely to work. One might argue that in order to have positive effects, a program must be very clear about what teachers are expected to do, so that professional development and coaching can be efficiently targeted to helping teachers do those things. Then we have to have evidence that links teachers' doing certain things to improving student learning. For example, providing teachers with professional development to enhance their content knowledge may not be helpful if teachers are not clear how to put this new knowledge into their daily teaching. If you think implementation alone will carry the day, keep in mind the skeleton of the heroic helmsman of the Vasa, spending 333 years on the seafloor trying to push the Vasa's bow into the wind. He did everything right, except for signing on to the wrong ship.